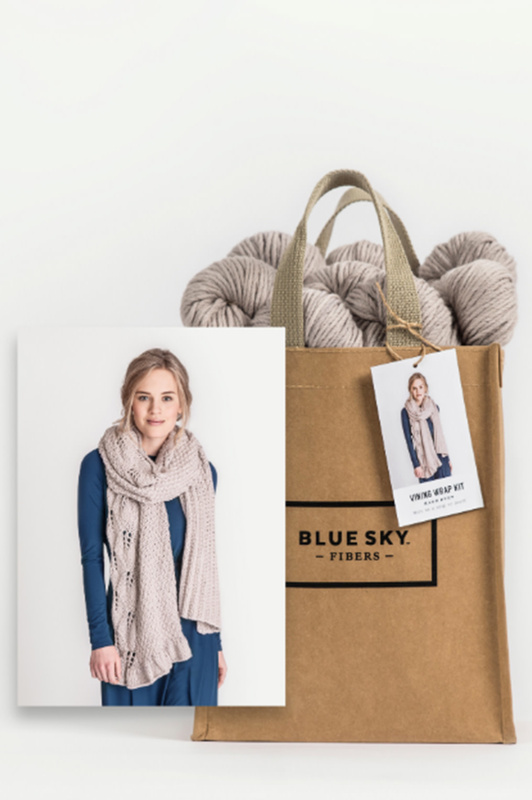 Wool & Co. has just received 6 new kits by Blue Sky Fibers! 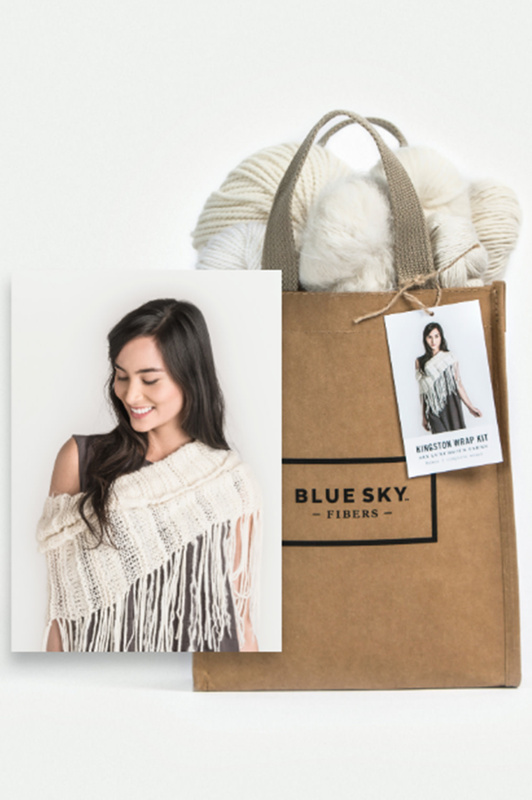 One of our favorites for Spring is the Windom Silk Wrap. 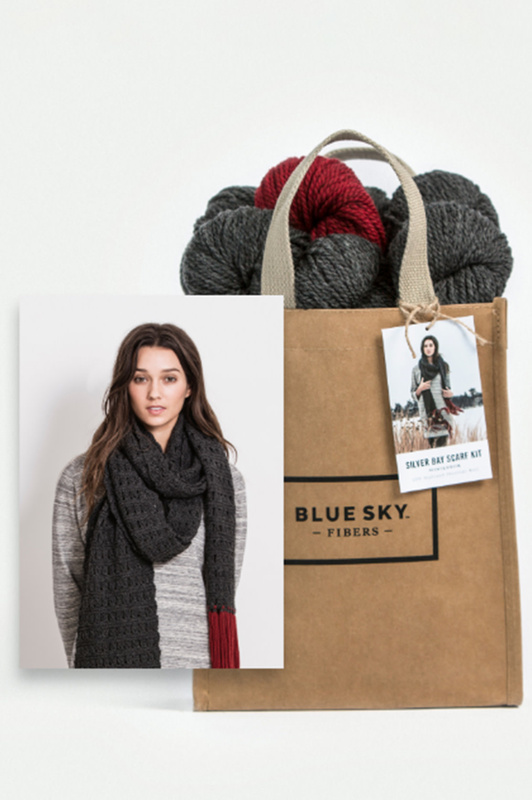 Knit in a combination of soft & drapey Alpaca Silk and luminous Metalico, the piece is perfect for chilly evenings. 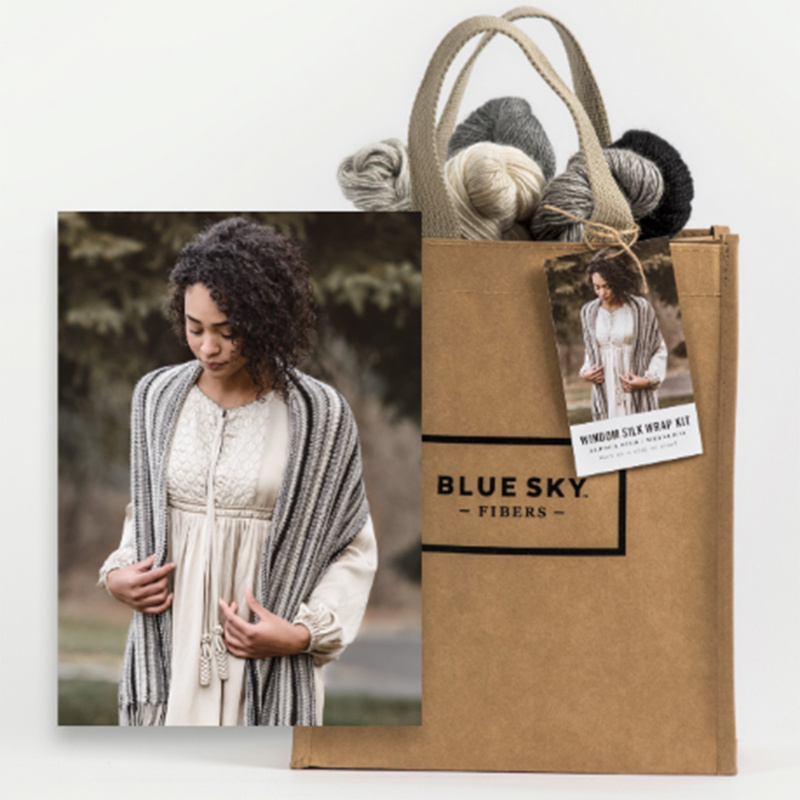 This swoon worthy kit includes everything you need to start knitting; Windom Silk Wrap pattern, 3 skeins of Metalico (Platinum, Silver, & Opal), 2 skeins of Alpaca Silk (Night, Slate); all in a washable project bag! 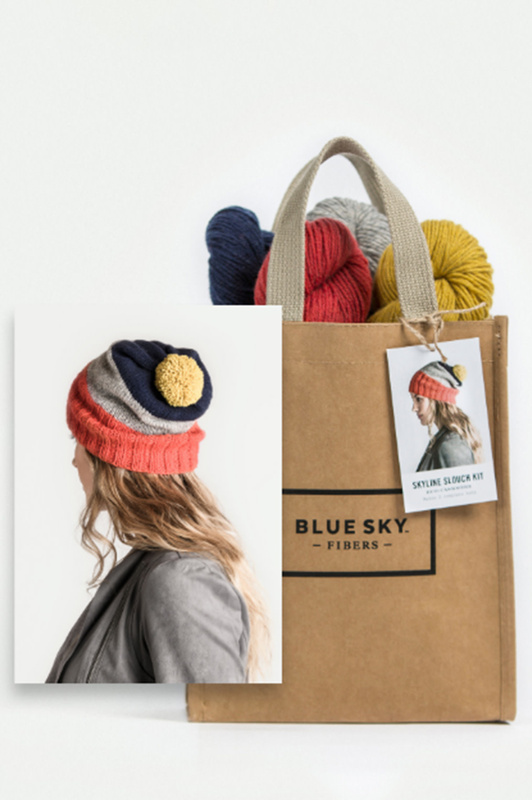 *Pattern requires size US 8, 40” circular needle (not included in kit). 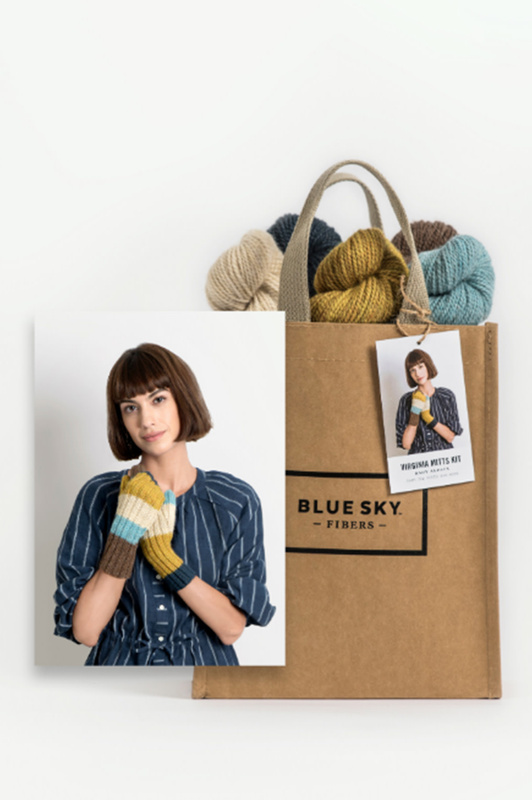 Browse our kits in-store or online. We are happy to offer complimentary ball winding on kits as well!